Our complete guide to playing all nine of the subclass's in Destiny 2. Our Destiny 2 subclass guide contains everything you need to know about the Hunter, Titan and Warlock subclasses of the game. Players can choose from one of three classes in Destiny 2, each one of which offers up its own set of unique abilities and skills in their own right. Not only that, each class also has its own trio of subclasses, providing further variety to suit different players and playstyles. In our Destiny 2 subclass guide, we’ve got a breakdown for you of the three fundamental classes in the game, with links to further guides covering the individual subclasses in greater detail. By studying all of these carefully, you should not only be able to find the right class for you, but also gain a deeper understanding of how each one plays in PVP. We’ll be expanding on this guide regularly in the weeks and months that follow launch, so do keep checking back for updates! If you'd like to learn more about what's new with the sequel, make sure you check out our massive Destiny 2 guide - it contains information and links to guides about everything you could possibly need to know right now! Editor's UPDATE #11: Alongside our guides to every subclass in the game, we've added a few more helpful pointers to the section that'll help you decide which Subclass to play. We'll continue updating this guide with further information in the future - keep this page bookmarked for more! The Titan class excels in the thick of battle, tanking damage and protecting allies with their barrier shields. As the new Titan subclass, the Sentinel is defined by a summonable shield that can rebound off enemies and protect allies. It’s very Captain America really, as the shield gives you enhanced defenses, not to mention incredibly powerful melee potential. It becomes a throwable weapon that can bounce around the battlefield, demolishing anything that’s daft enough to get in its way. To find out more about, head over to our complete Destiny 2: Titan Sentinel guide for all the latest information on this subclass. A returning class from the original Destiny, the Striker has nevertheless received a pretty significant overhaul for the game's sequel. It’s less about ground-pounding this time around, and more about clattering into anything and everything as an electrified wrecking ball. You’re not restricted to relying on a one-off floor slam anymore, and you’ll have the freedom to sprint into multiple enemies and shoulder charge them all into oblivion. If you're after more information on this subclass, our Destiny 2: Titan Striker guide should do the trick. The final returning class from Destiny 1 is the Sunbreaker. This subclass specialisies at slinging devastating Solar hammers at enemies, and excels when it comes to dishing out immense damage from range. This doesn’t mean you can’t get up close and personal though, as swings from your hammer can send opponent's flying, or you can scorch the earth itself with deadly Sunspots. Anything that doesn't move out of the way will quickly become toast. Take a look through our complete Destiny 2: Titan Sunbreaker guide for all the latest information on this subclass. Hunters rely on their superior speed and agility to do a merry dance around their opponents before gunning them down. They also lay sneaky traps to catch enemies by surprise, or gain control of key areas in an intense firefight. 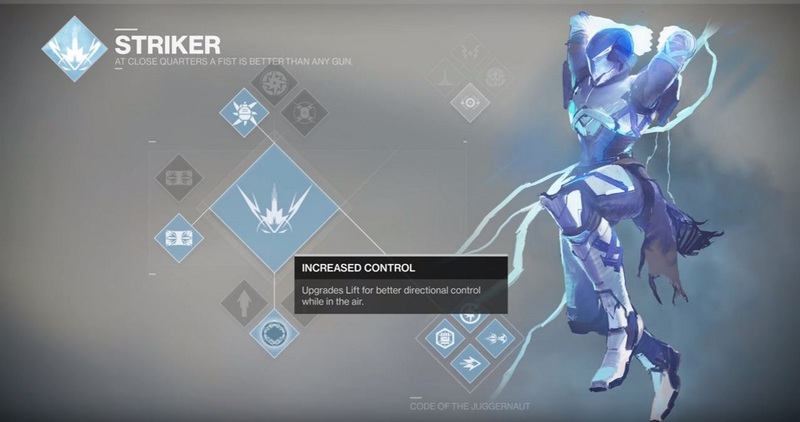 One of the brand new subclasses for Destiny 2, the Arcstrider is a replacement for the Bladedancer archetype from the original game. 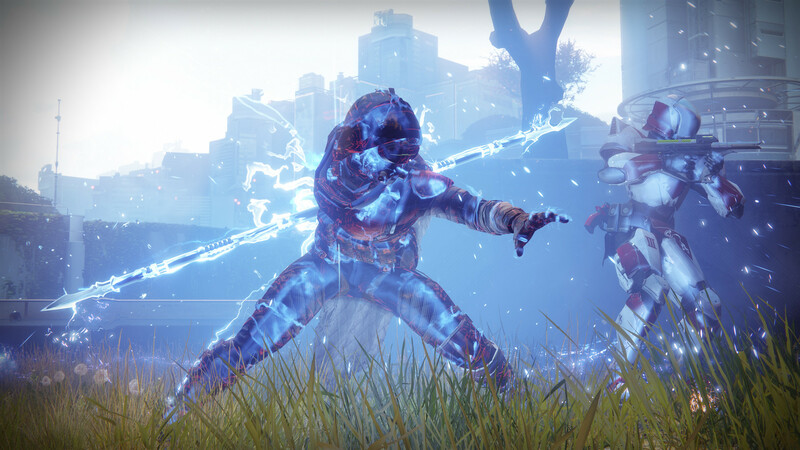 Most Hunters prefer to fight from a distance, but the Arcstrider specialises in close-quarters combat, with a Super Ability that’s essentially an acrobatics display with an energy staff. Trading insane damage and speed for increased vulnerability, it’s a subclass for those who like high risk, high reward gameplay. Take a look at our Destiny 2: Hunter Arcstrider guide for all the nitty-gritty detail on this new subclass. The Gunslinger returns from Destiny, and remains pretty much the same as before, albeit with a few new twists to shake up the formula. There’s a new dodge-roll mechanic to take into consideration, for example, and the Golden Gun can fire up to half a dozen times instead of three when you’re aiming to take out a pack of enemies. Have a look through our Destiny 2: Hunter Gunslinger guide for a more detailed look at this subclass. Another returning subclass from Destiny, the Nightstalker hunts enemies with a Void bow and will move heaven and earth to prevent their escape. Track your opponents, then tether them to the ground with a swift strike before disappearing in a cloud of smoke. Catch your enemies by surprise and set them up for lethal executions - Nightstalkers are the ninjas of Destiny 2. Our Destiny 2: Hunter Nightstalker guide contains everything we currently know about this subclass. Warlocks mix up their mastery of arcane magic with weaponry, flinging lethal spells from one hand and shooting with the other. The Dawnblade is a brand new subclass for the Warlock, and introduces the ability to rain fire from the skies. Dealing AoE damage and insane amounts of pain in general, the Super Ability for this subclass can wipe out an entire mob of enemies. It’s not just a subclass hell-bent on destruction though, as it also plays a supportive role with abilities that can heal or buff allies too. Here's our Destiny 2: Warlock Dawnblade guide if you'd like to learn a little more about this upcoming subclass. The Voidwalker returns from the original Destiny, revamped and ready to obliterate opponents with Void energy. Blinking around the map at lightning pace, this subclass is focused entirely on dishing out an overwhelming amount of damage and not taking a scratch while doing so. We've put together a Destiny 2: Voidwalker subclass guide which provides even more detail on this subclass. Stormcallers channel Arc energy through their fingertips, shocking groups of enemies with ease. Firing bolts of lightning and teleporting around the battlefield, this is a subclass that’s all about taking on enemies from a safe distance and inspecting their charred remains once the job is done. Here's our Destiny 2: Warlock Stormcaller guide if you're after a little more information about this subclass. When creating your first character, it's important to get your class choice right. Below we've broken down a few key strengths for each of the classes so you can make that all important decision. The tanks of Destiny 2, Titans are perfect for Guardians who like getting stuck into a fight. Titans can erect barriers which act as a great line of defence and block key sources of damage for a fireteam. As a Titan, you're Destiny 2's best all-rounder. The Striker subclass is phenomenal in PVE, while the Sentinel is one of the most versatile subclasses in PVP. Titans have a very satisfying sprinting charge attack that can chain damage to multiple nearby enemies. If you play as a Titan, you're almost always guaranteed good looking armour sets. Titans start off with a higher Resilience stat than all the rest, so they really can take more punishment. Hunters are almost certainly some of the best choices for PVP combat. Most Hunter gear buffs your mobility stats, meaning you'll be the fastest class out there. 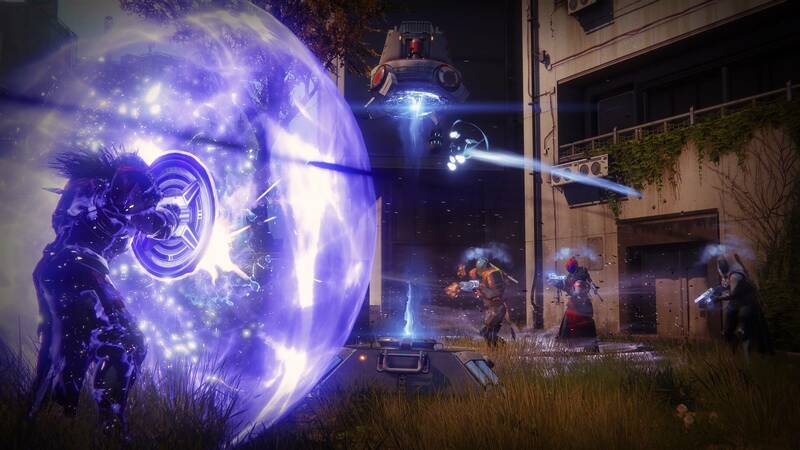 You'll be an Orb of Light generating machine in PVE. Hunters are all about dishing out damage and have some of the most interesting subclasses to play. Nightstalker's Way of the Trapper being just one example. Hunters have a dodge for getting out of sticky situations. Warlocks have some of the best health regeneration in the game, meaning you can get back into the fight quicker. Like flinging orbs and smiting down foes with solar energy? Then the Warlock will be for you. Warlocks can make great supporting roles with Healing Rifts. The Stormcaller and Voidwalker subclasses have certain skill trees that are exceptional in both PVP and PVE scenarios. Devour Voidwalker being a particular favourite. Glides enable Warlocks to hang in the air and rain down fire from above. At the start of Destiny 2 you lose all your powers, meaning that you only start with one subclass unlocked. 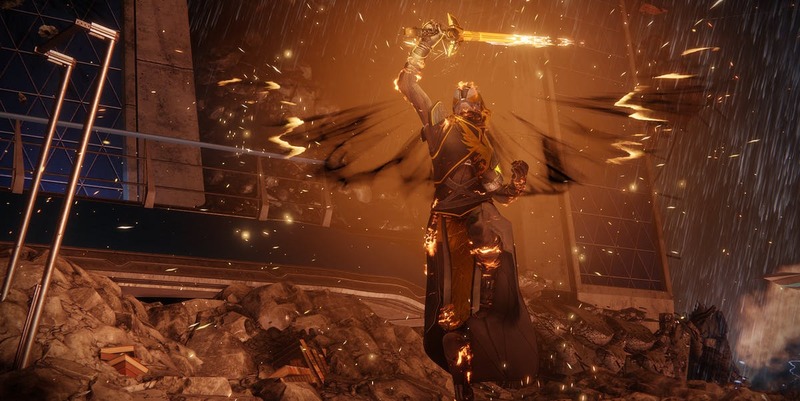 For Warlocks it’s Dawnblade, for Hunters it’s Arcstrider and Titans begin with Sentinel. As you progress through the game and level up, you’ll be given the opportunity to unlock both your second and third subclasses. There are level prerequisites for relearning each of them, with your second subclass available to unlock only once you’ve hit level seven. You’ll need to be at least level fifteen to unlock the third. Here’s a breakdown of what order you’ll unlock these subclasses per Class. As stated above, you’ll need to have reached level seven and fifteen to unlock both your second and third subclasses respectively. Kickstarting the process requires discovering a Class specific Relic that’s “filled with lost power”. These can be obtained by opening up loot chests, so once you’ve hit the correct level make sure you’re participating in Public Events, delving into Lost Sectors or hunting for Region Chests. From what we’ve gathered, these Relics drop at a high frequency once you’ve reached the specified level so it won’t take long before you find one. Once you’ve picked one up, it’ll automatically be sitting there in your inventory and will show up next to your subclass in the Director. Inspect it, and the Relic will task you with a sub-quest of sorts. You’ll need to kill enemies in any activity to fill its meter to 100%. It specifies that participating in Public Events is the only way of doing the job, however this isn’t the case - any activity nets you progress towards unlocking the subclass. Once it’s hit 100%, you’ll be notified in your Milestones tab that you should head back to the Traveler’s Shard on Earth. You can fast travel there through the Director, and it’ll kickstart a subclass mission. Once you complete this, you’ll have unlocked that subclass permanently. The process remains exactly the same for the third and final subclass, albeit with a minor difference in the Traveler’s Shard mission. Each subclass has a number of core abilities and two separate skill trees you can invest Upgrade Points in. You’ll start off unlocking the basics, before moving onto what abilities cater best to your playstyle or situational needs. Here’s a simple breakdown of how it all works. Every time you level up, you receive one Upgrade Point. Once you hit level 20, you do not receive Upgrade Points when you level up. Only Bright Engrams are rewarded. Certain Adventures reward you with one Upgrade Point. This is your main way of earning them once you’ve hit the level cap. Upgrade Points are invested in the subclass skills page. Some skills are locked behind a level wall, and it’s only until you hit the prerequisite that you can unlock them. You begin the game investing Upgrade Points in your core skills such as grenades and jumps. Once you reach level 8, you can start putting points into skill trees of your choice. It’s possible to earn enough Upgrade Points to max out all skill trees in every subclass. Is there a fourth subclass in the works? When Destiny 2’s PC version launched, dataminers were quick to glean as much information as they could from the mysterious innards of the game’s files. While this could be Bungie’s way of toying around, there’s always a chance that this is a subtle reference to an upcoming fourth subclass that utilises a different energy from all the rest.